On Monday, April 15th products will be delivered and will need to be organized. Contact Concessions if you are interested in helping and for more information. Everyone who works a shift at the concession stand will earn money into a designated student account. A four hour shift earns $5 and a five hour shift earns $6. For every 20 shifts that are worked on behalf of a student, that student will receive $50 into their student account. Sign up for a shift (links above) and a job; click here for job descriptions. You are expected to work the job you sign up for. Pick up a car show pass and parking pass. Concessions will advertise when and where to pick up these passes the week of the car show. The designated parking lot for most shows is the vendor lot to the right of the front gate at the intersection of Spring Road & K Street. For some shows, you will be asked to park in the National Guard parking lot on Cavalry Road. You will be told where to park when you receive your parking passes for a show. Parking at any other location is at your risk and expense. The concessions stand can be found underneath the grandstand. For more information, contact the Concession Committee chair at concessions@carlislehighschoolband.org. Click here to download our formal Car Show Concessions Policies and Procedures. 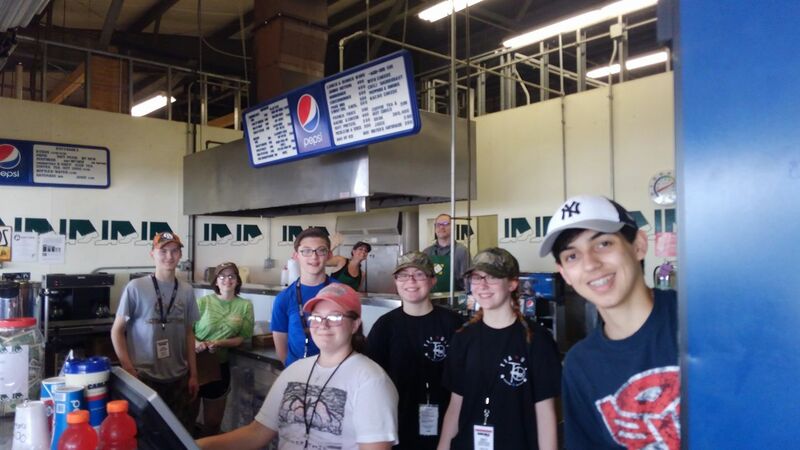 Click here for fairgrounds concession stand job descriptions.